A vast inventory of bygone things will be broadcast from the Palazzina Canonica on the Riva dei Sette Martiri to different locations throughout the city. This prodigious quantity of lost and extinct entities will be announced and transmitted via industrially produced tree cell towers. These barely camouflaged, ersatz trees are nodes in a communication network that will signal to listeners the entities that have gone before—almost like the trees that the cell towers have come to replace. “From our current perspective, the history of progress looks more like a history of obsolescence, in which case a retrospective gaze gains a particular importance. 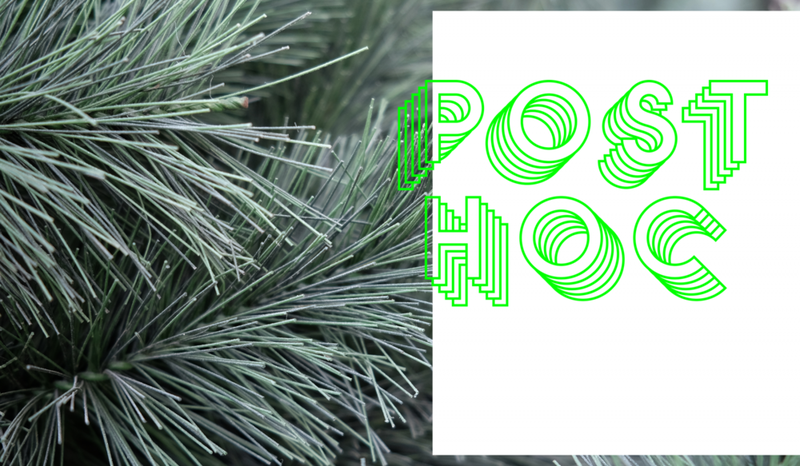 Responding to this, Post hoc seeks to symbolically re-materialise unseen, vanished and defunct phenomena in the present,” say the project’s curators Dr Zara Stanhope and Chris Sharp. A Latin phrase, "Post hoc" translates as "after this." It describes the assumption that an occurrence has a logical relationship with the event it follows. In Mitchell’s New Zealand pavilion presentation, Post hoc evokes the question of the connections between events and vanished "past things," without necessarily calling up judgment. The Palazzina Canonica is the former headquarters of exhibition partner Istituto di Scienze Marine (CNR-ISMAR), a scientific research institution operating in the field of marine sciences which is part of the Italian National Research Council (CNR). It is the first time the institute has partnered with a national pavilion at the Biennale Exhibitions. “We are delighted to establish a relationship with the institute and look forward to collaborating to bring further meaning to Dane’s project. Being adjacent to the Giardini places us in a central location to be a part of the biennale dialogue,” says Dame Jenny Gibbs, 2019 Commissioner. Dane Mitchell’s practice is concerned with physical properties of the intangible and visible manifestations of other dimensions. His work teases out the potential for objects and ideas to be present, evoking a connection between the sensual and the conscious. Mitchell’s practice speculates on what is material and explores experiences of systems of knowledge or belief. Mitchell’s exhibition history dates back to 1999; since 2008 he has held 30 solo exhibitions and participated in more than 50 group exhibitions. He has presented solo exhibitions in institutions in New Zealand, France, Germany, Brazil, The Netherlands, Switzerland, Hong Kong, Australia and the United States. He has also participated in a number of biennales, including Biennale of Sydney 2016; Gwangju Biennale 2012; Liverpool Biennial 2012; Singapore Biennale 2011; Ljubljana Biennale 2011; Busan Biennale 2010 and the Tarrawara Biennial 2008. Lead curator Zara Stanhope has 20 years’ curatorial experience in lead roles in art institutions in New Zealand and Australia. She is the Curatorial Manager, Asian and Pacific Art at Australia’s Queensland Art Gallery|Gallery of Modern Art (QAGOMA). Her curatorial practice spans over 70 curated and co-curated exhibitions and she is widely published in books and catalogues. Project Curator Chris Sharp is a writer and independent curator based in Mexico City, where he co-runs the project space Lulu. He has curated a multitude of international exhibitions and contributed essays to many catalogues. Formerly news editor at Flash Art International and editor-at-large of Kaleidoscope, he is a contributing editor of Art Review and of Art-Agenda. New Zealand has exhibited at the Venice Biennale since 2001. Creative New Zealand funds and manages New Zealand’s presence at the International Art Exhibitions, with support from patrons, partners and sponsors. Museum of New Zealand Te Papa Tongarewa is a key partner.